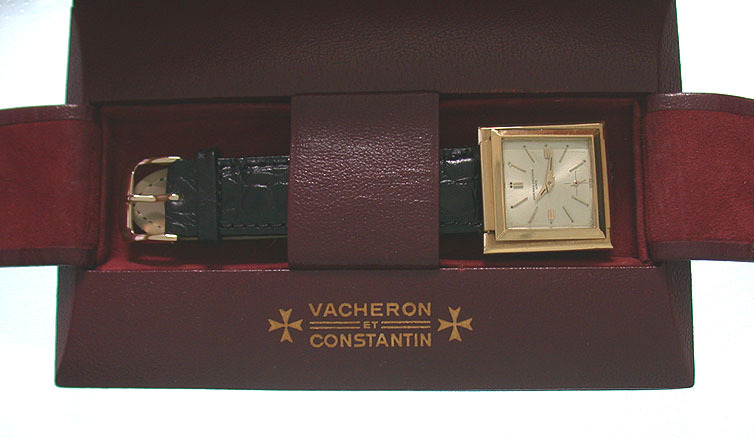 Rare Vacheron & Constantin 18K gold reference 6665 cabriolet travel wrist watch with original leather wallet circa 1965. 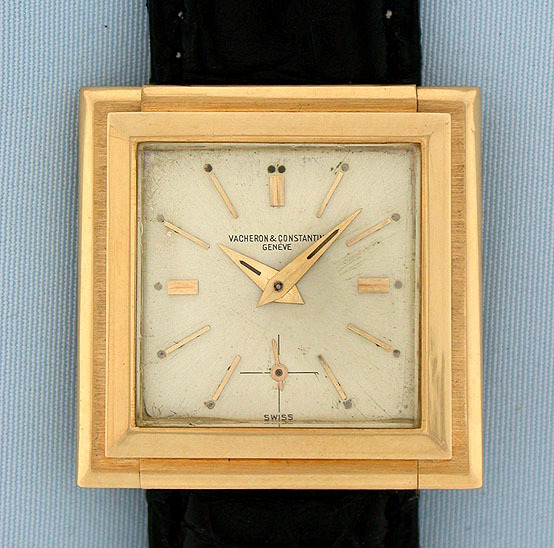 Original silver dial with attractive light patina, gold markers, and gold hands. 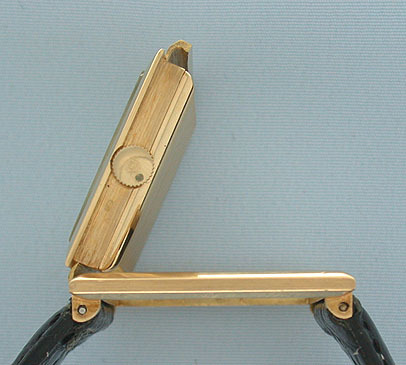 The watch swings up to become a miniature travel clock. 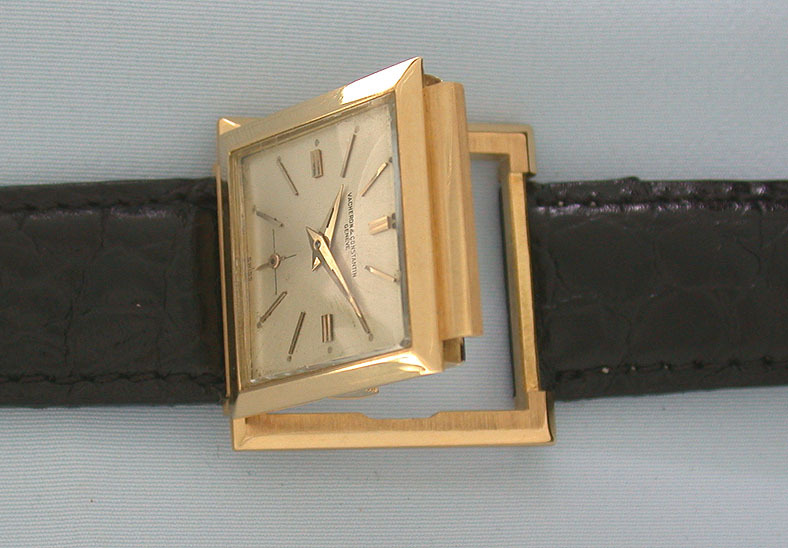 Rhodium calibre X1001 18 jewel 5 adjustment movement with 2 Geneva seals. Most handsome and unusual.